One of the UK's most botanically (and environmentally) green places to visit is the magical plant land of the Eden Project nestled in the south-west countryside of Cornwall. If you're looking for a natural, interesting and fun place to take the kids this summer what a better place to start than paradise? 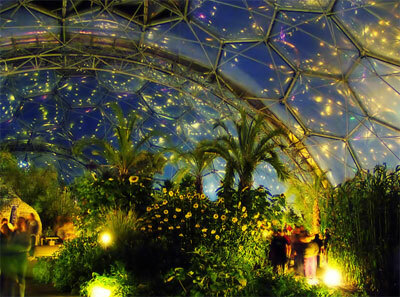 Everyday from June 1 to July 17 the Eden Project has a range of activities. Every weekday there's Storytime (magical tales for young and old told by the Pollination team), Tea and Talk (a chance to meet the Green Team for those gardening tips your plants have been dying for you to ask), and Picnic time (al fresco style teddy bear picnic). On Sunday July 19 the Eden Project will bring to life their ambitious idea - The Big Lunch - a bring-your-own, open-air party for 61 million people. They're encouraging everyone to come out to their streets and into their neighbourhoods. 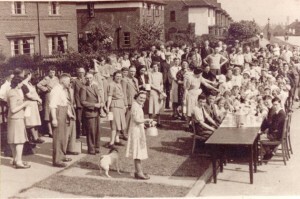 The idea is to get as many people as possible outdoors and involved with the local community. Pavement art, playing music, gardening, painting the fence... eating lunch - whatever it is as long as it's in the big wide world and is carried out with an up-for-it attitude. Other up and coming happening at the Eden Project are Wild Food Monthly talk, Evolution of a Cornish Clay Pit, performance and workshops by Tibetan Monks, concerts by Paul Weller, Oasis and the Kooks, and the Eden Project Marathon. For more details visit the Eden Project website.